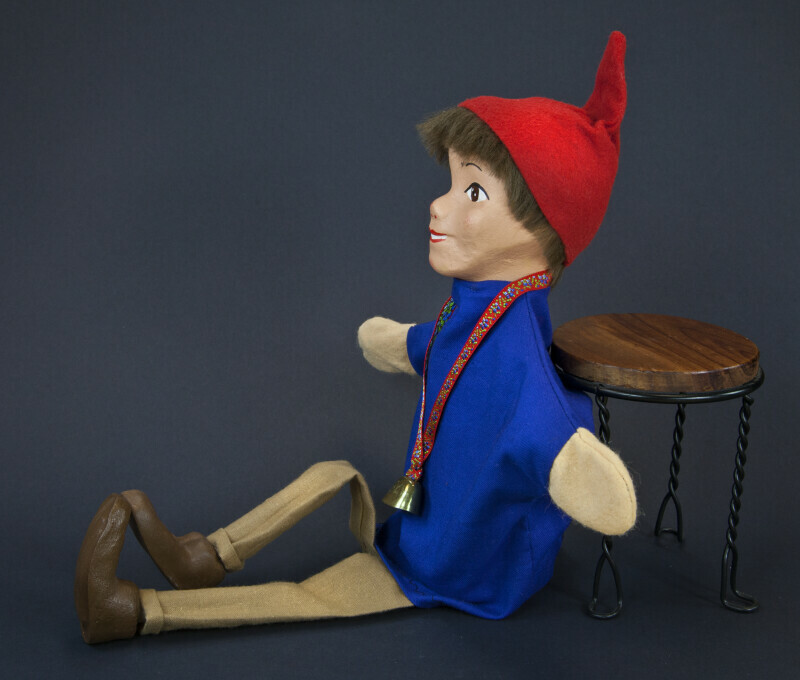 Profile view of hand puppet from Switzerland. There is ample room in the blue cotton shirt for a hand to manipulate the puppet. The head is composite, with a hole to manipulate the puppet. The lad has brown hair and a red hat made of felt. This figure stands 16 inches (41 cm) tall. WARNING: You are about to download a 25.1 MB TIFF!